If owning a Mercedes-Benz holds no appeal, you may find competitors such as Cadillac, Infiniti and Lexus offering vehicles suiting your needs at lower prices. It's tough to get excited about safety features, but the DISTRONIC PLUS offers features are truly special. The PRE-SAFE Brake system uses radar to warn the driver of an imminent collision and can even modulate the brakes to minimize impact. Ok, so the Sport Package only shows itself outwardly with bigger wheels and comes with a swanky contrasting interior. You should buy it for the lowered, stiffer and sportier suspension, which properly livens up the car's handling. Every 2011 Mercedes-Benz E-Class comes richly fitted with standard equipment, providing comfort and convenience expected from the marque. From Burl Walnut trim to 14-way power seats with memory settings to the stereo/speaker/CD changer setup and mbrace navigation/support, the E-Class models are very well-equipped. 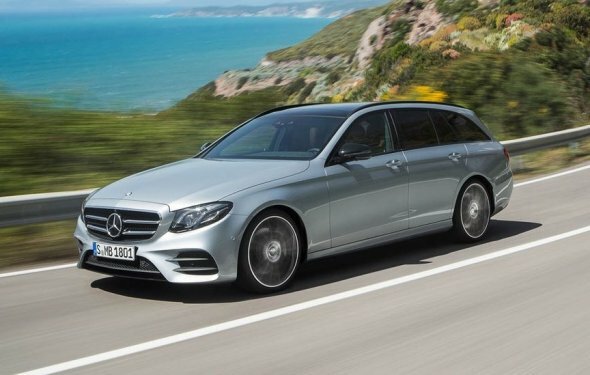 There are a few differences of note: The E-Class Sedan and Wagon don't come with leather seats as standard, and the 60/40 rear bench of the Wagon is optional with the Sedan. A couple of controls have been repositioned for the 2011 models, but aside from that there haven't been any major changes. Front headroom and legroom is very good on all models; rear seats can be a bit cramped in the Coupe and Cabriolet but are very nice in the Sedan and Wagon. Luggage space is impressive across the line, even in the Cabriolet, and the soft top folds on itself to leave more usable trunk space than most competitors in its class. The 2010 revamping of the E-Class exteriors combined muscular rear fenders with a signature front end into a look that is unmistakably that of a Mercedes-Benz. The Coupe's lack of a B-pillar gives it a smooth aesthetic and an air of class all its own. The Cabriolet shares its grille with the Coupe, and has an elegant soft top that blends nicely into its lines. The look with the soft-top is classic and, as you might expect, it weighs a lot less than a folding hardtop. The Wagon is a surprising treat; its roofline at some angles appears to carry a descending angle from front to back, while at others it seems to be a straight line to an expansive rear cargo area. With the addition of the BlueTec Diesel, the 2011 Mercedes-Benz E-Class line features four engines: The 210-horsepower, turbocharged 3.0-liter V6 BlueTec diesel; the 268-horsepower, 3.5-liter V6 of the E350 Series; a 382-horsepower, 5.5-liter V8 for the E550 cars and the monster 518-horsepower, 6.3-liter V8 of the E63 AMG. All E-Class engines run through Mercedes' seven-speed automatic transmission with optional manual paddle shifting. The E63 AMG is equipped with the tuner's Speedshift transmission with Race Start and rev matching.